Written by: Bronwen Collins | October 17, 2018. 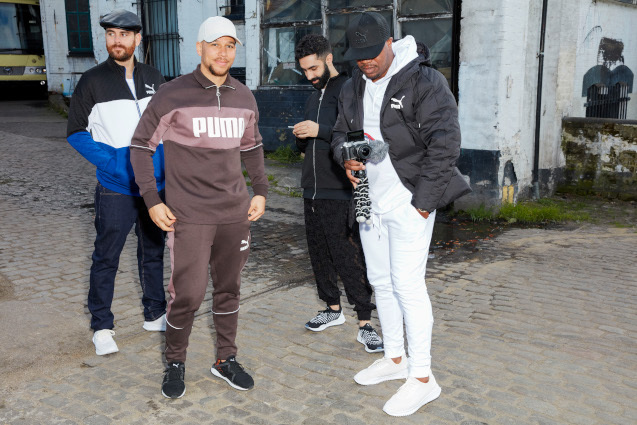 Want to know the latest trends for tracksuits? Step away from the crowd by bringing a bit of retro fashion back into your athleisure wear. Here are Mainline Menswear’s top FIVE tracksuits for AW18. Starting off simple with Franklin Marshall’s all black logo tracksuit. The crew neck jumper in contrasting cream gives this casual look an American football feel rather than the typical This Is England vibe. A refreshing change, Franklin Marshall make sure you’re looking comfortable whilst not wearing the same tracksuit as everyone else. 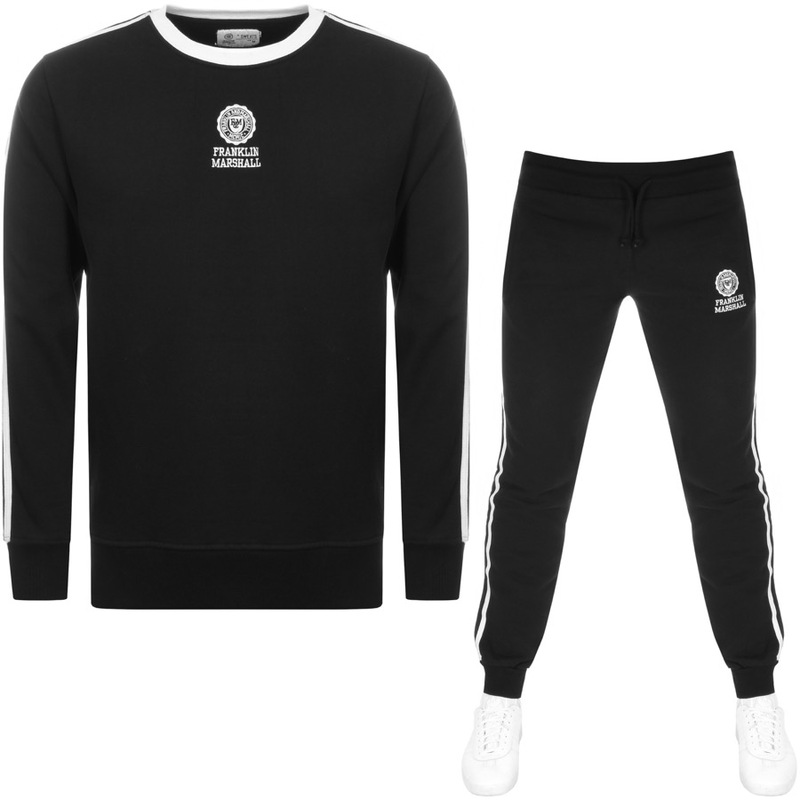 Back to classics, sometimes there’s nothing wrong with a familiar look, and Adidas provide that with their Originals Beckenbauer tracksuit in black. 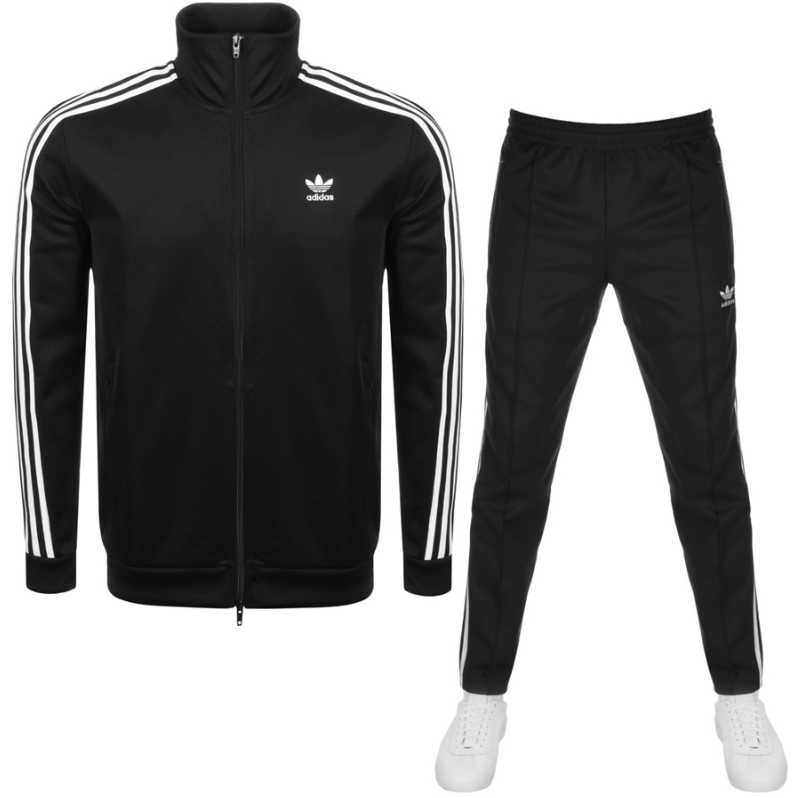 With the signature Adidas Three Stripes and Trefoil logo, this tracksuit has been popular for generations. Next up is True Religion with a different style of tracksuit in green. With extra baggy joggers, these are bound to be the comfiest option out there. The hoodie also adds a touch of lazy-Hollywood with the signature True Religion Buddha printed on the back in gold. The “classiest” tracksuit we sell – though you still couldn’t wear it to a wedding. Time for a tracksuit that makes more of a statement. 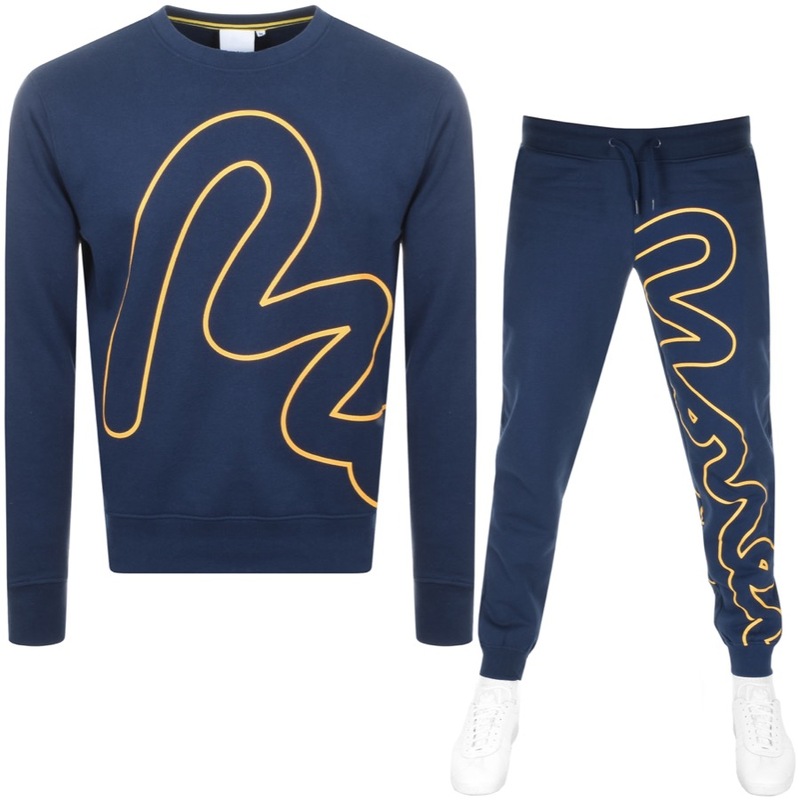 With the large Money logo woven throughout the jumper and jogging bottoms, their tracksuit in blue and gold is sure to make you stand out for all the right reason. Last but by no means least is this grey tracksuit by Versace Collection. Bound to make you the most stylish person in the gym, the Versace tracksuit is simple, elegant and perfect for your next workout.